German Pinschers are smart, confident and alert dogs who may chase after small animals. 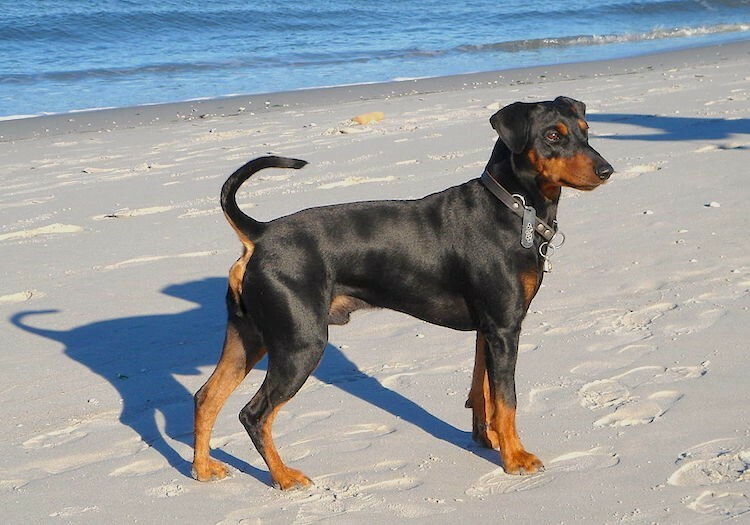 The German Pinscher is a medium-sized dog with strong vermin-hunting instincts. The medium eyes are oval-shaped. Ears are usually cropped and the tail docked, although these practices are illegal in some European countries for non-working dogs. 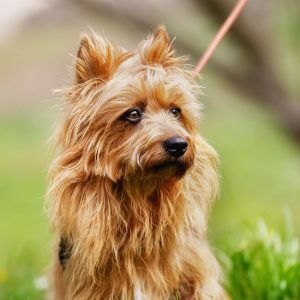 The short, glossy coat comes in colors of black, blue, brown, fawn and red and may have markings of red, tan, or red and tan. As the name suggests, German Pinschers originated in Germany. The dogs were mentioned in history as early as 1884. Although German Pinschers are tied to the origins of other pinschers, they are actually closer to the Standard Schnauzer. German Pinschers almost went extinct around World Wars I and II, as did many other breeds. The reason for this is not clear, but pinschers were used to hunt vermin on farms, and one idea is that the farmers had to abandon their homes to serve in the wars. The German Pinscher breed was revitalized in 1958 after Werner Jung risked his life to smuggle a female pinscher into Eastern Germany. 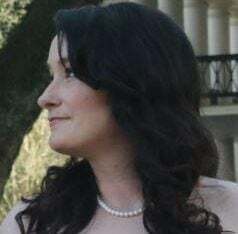 She was then mated to several males, and the breed slowly began to increase in number. The American Kennel Club recognized the breed in 2003. 3. How Friendly Are German Pinschers? German Pinschers make great watch dogs. They are smart, confident and always alert. They are good with children and other pets, although they may run after smaller pets because of their strong vermin-hunting instincts. They may chase moles, snakes and other small animals, just as they did many years ago on German farms. HIGH: This agile and energetic breed needs daily walks and even jogs. German Pinschers are dogs that do well in apartments with sufficient exercise, but they would really appreciate a small yard. Exercise your German Pinscher in a secure area or while the dog is on a lead so they don’t run off while expelling all that energy. LOW: A German Pinscher’s short, glossy coat sheds an average amount and is easy to maintain. You’ll need to brush the coat occasionally and bathe the dog as needed. Also, trim those fast-growing nails regularly. Purebred German Pinschers may not be easy to find in the United States. Try our online adoptable pet search to see if one of these dogs is available for adoption from a shelter or rescue near you. If you contact breeders, make sure they’re not operating a puppy mill and can show you the parents of the puppy. 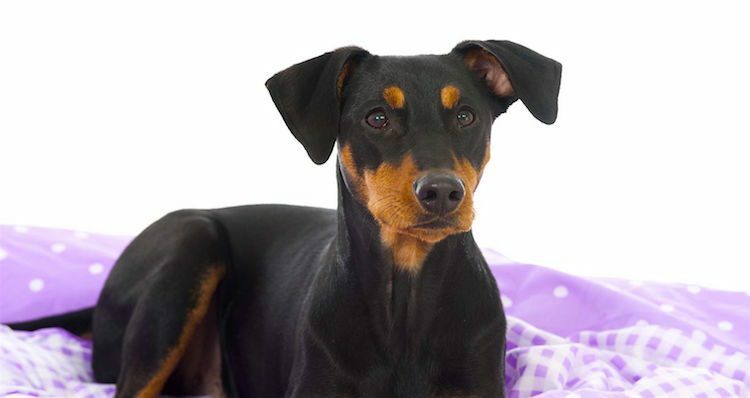 Genetic health tests are available for German Pinschers for the hips, eyes and heart, so ask if these tests have been performed on the puppy or the parents (and request a copy).